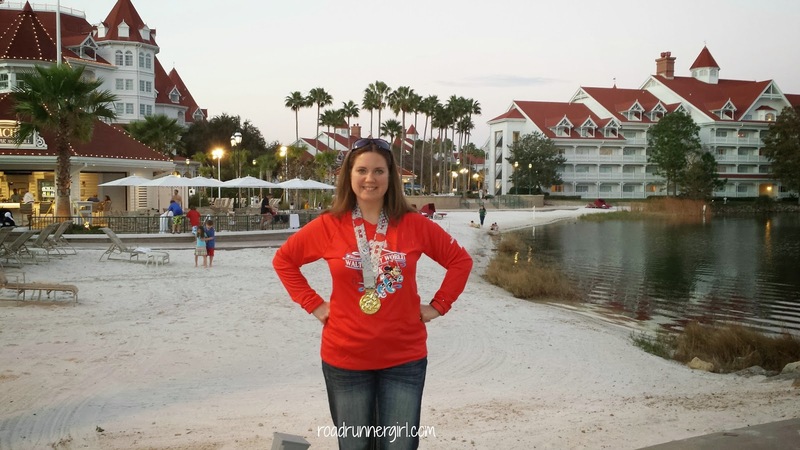 Road Runner Girl: Disney Dining at 1900 Park Fare! 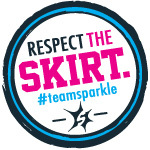 After running the 10K, I quickly headed back to my resort to shower and change. We had dining reservations at 10:15AM for the Supercalifragilistic Breakfast at 1900 Park Fare located in Disney's Grand Floridian Resort and Spa! I was so excited! I know I'm an adult but Disney is my FAVORITE! And I love the characters probably even more than my kids do lol! 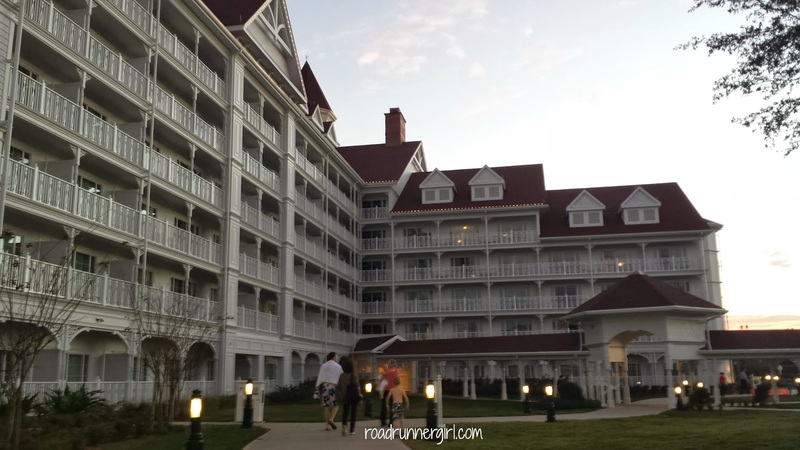 We arrived at the Grand Floridian a few minutes early. 1900 Park Fare is located on the ground floor main lobby to the left. We checked in and received a pager that would buzz when our table was ready. We shopped in the gift shop while waiting. 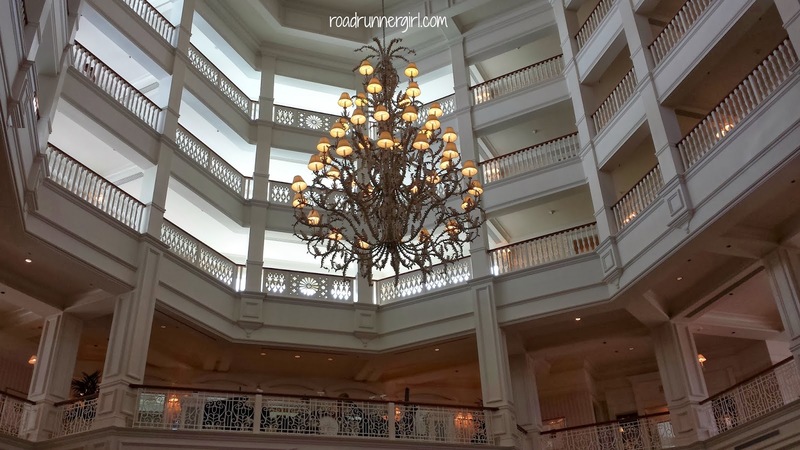 And I took pictures of the gorgeous lobby of the Grand Floridian! We only waited about 5 minutes and then it was time to eat! There was also an option to have your picture taken in front of the mural on the wall but we didn't do this. We headed straight into the restaurant! The restaurant is decorated in an antique carousel decor. 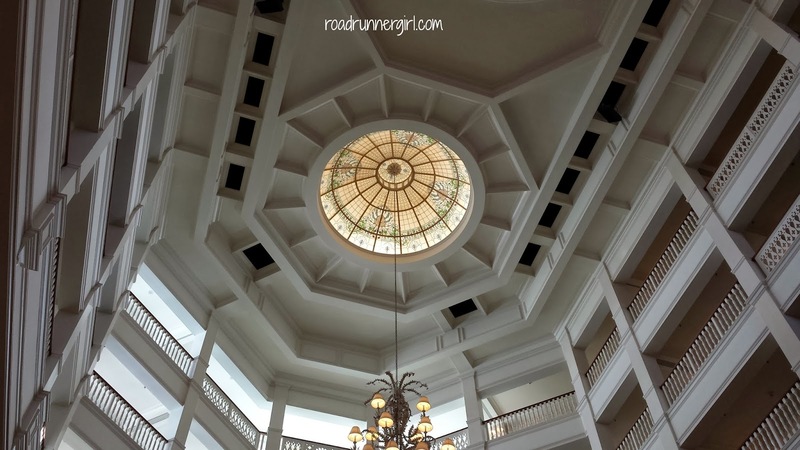 It is very pretty and goes along well with the Victorian style of the resort. The colors are in pastel. We sat in the main dining room but there are also smaller dining areas as well. There were high ceilings. 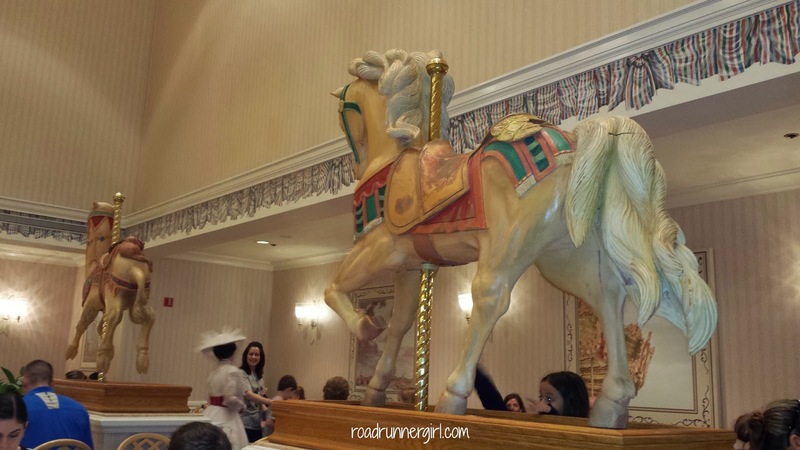 I just loved the carousel horse displayed in the main dining area! 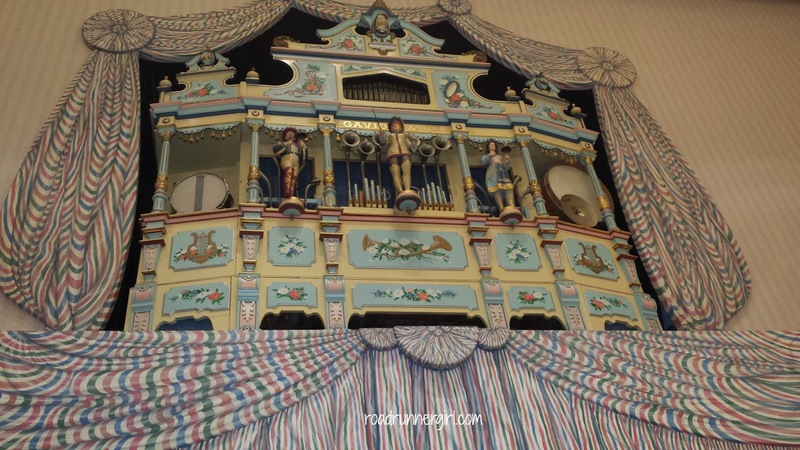 And you can't forget Big Bertha, the organ above the entryway! You sit at your table and a server comes and takes your drink order. Then you are free to help yourself at the buffet. 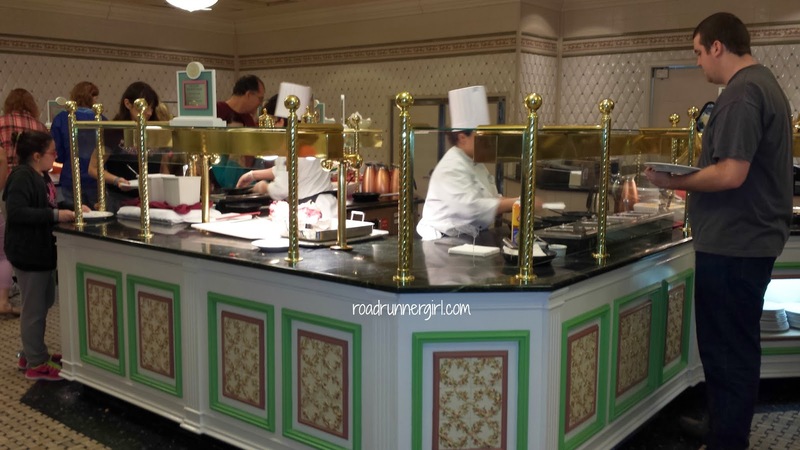 There was a center buffet (pictured) where the chefs were making omelettes and smaller buffets on the side. The smaller buffet area also had kid buffets that were at kid height which I thought was a nice touch! 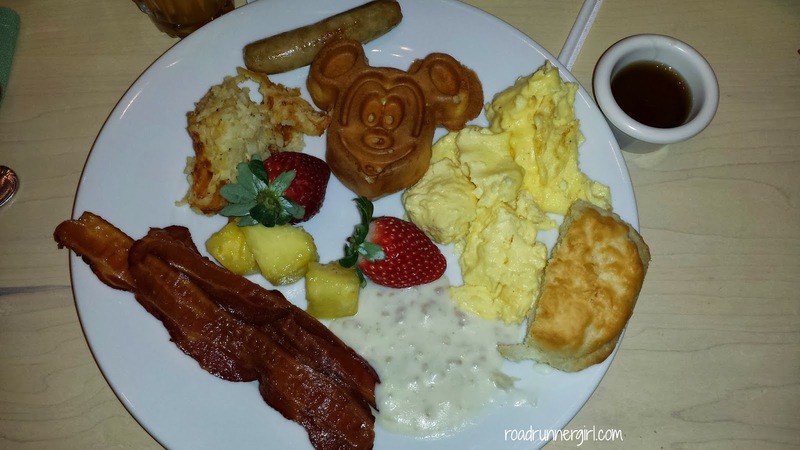 The food was your typical breakfast food....eggs, bacon, sausage, hashbrowns, biscuits and gravy, waffles (Mickey shaped of course), fruit, etc. I was super hungry since I had run the race that morning! The food was really yummy too! While you eat the characters walk around. They eventually come to your table! I was giddy just like a little kid with each character! 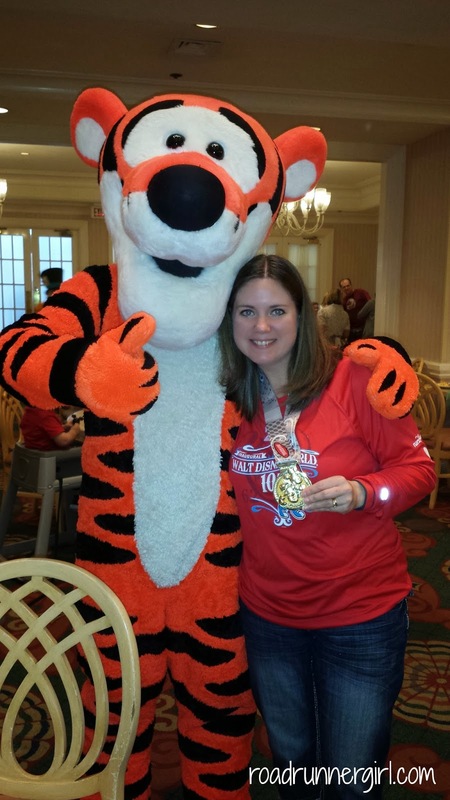 Tigger's interaction with me was hilarious! He kept coming up behind me and just staring until I turned around and caught him! 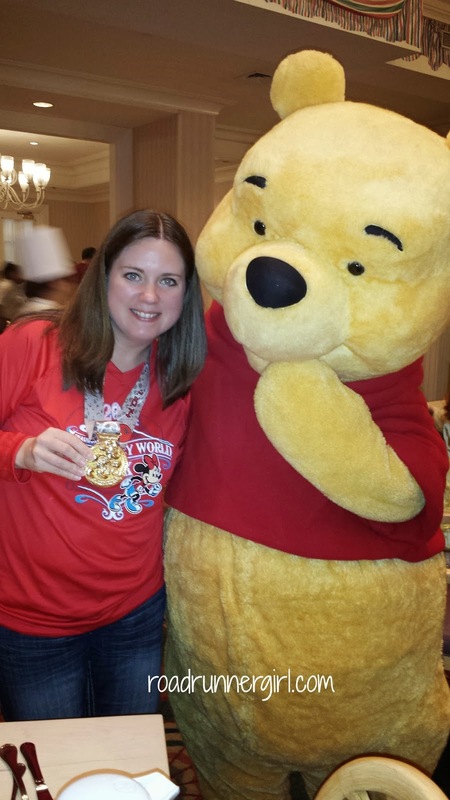 We also had a visit from Winnie the Pooh! 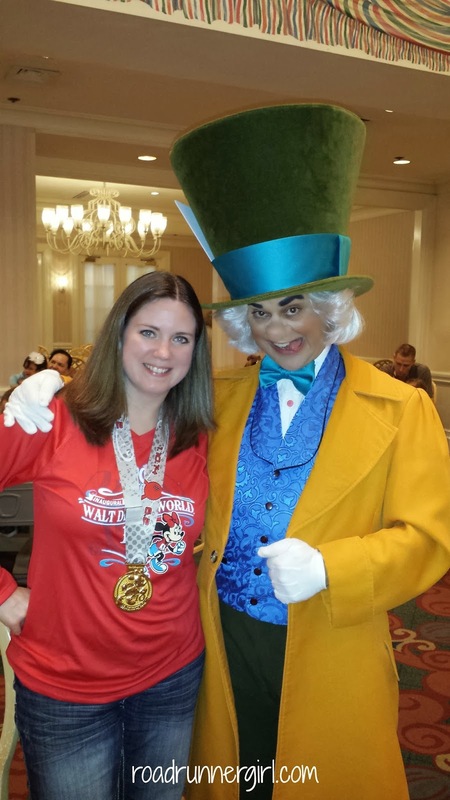 And then the Mad Hatter! He was hilarious and made jokes about my race (that I had just run)! And then along came Mary Poppins! She is one of my favorites! 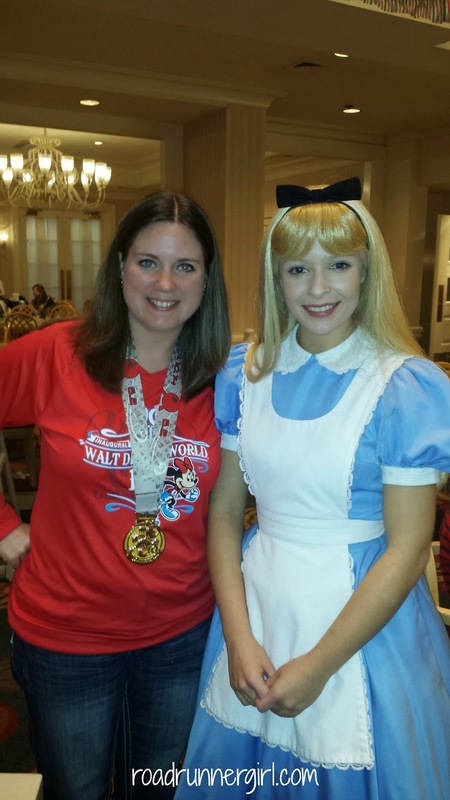 And last but not least, Alice! She immediately came up to our table and asked us if we had seen her rabbit! So cute! I really enjoyed this dining experience! The food was yummy and our server was super sweet! 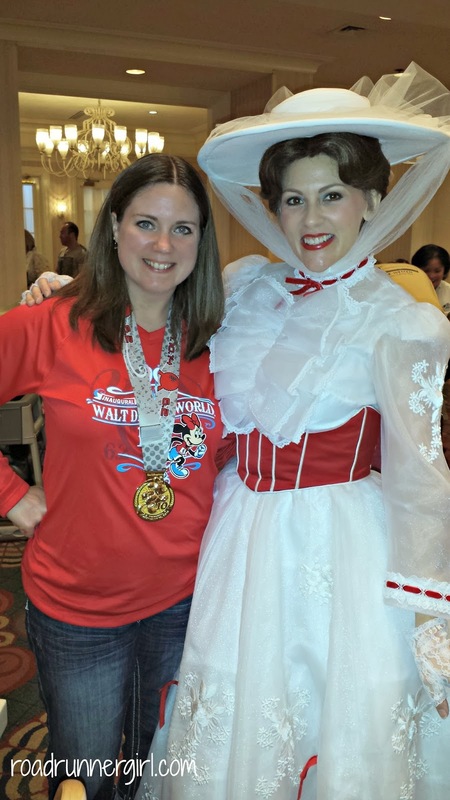 She asked me all about my race and even gave us advice about Downtown Disney. The characters were awesome! Even though we were adults they still gave us plenty of time to interact with them and take pictures! They were all really impressed with my medal too! :-) I definitely want to dine here again! 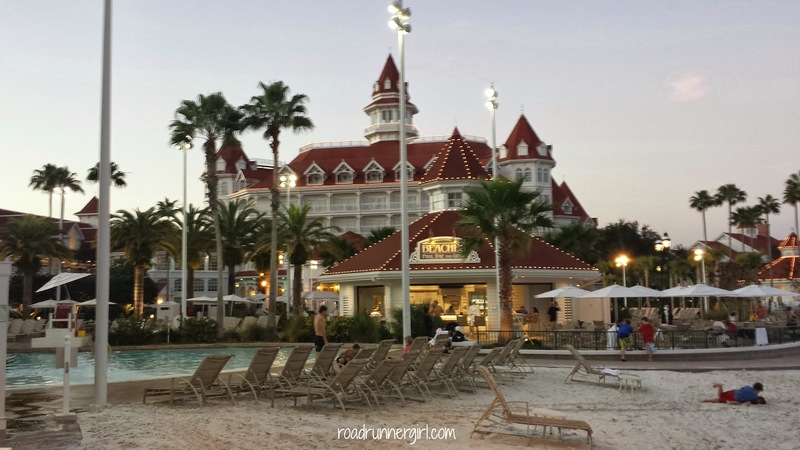 Before we left the Grand Floridian I had to have a few pictures. The resort is gorgeous!!!! 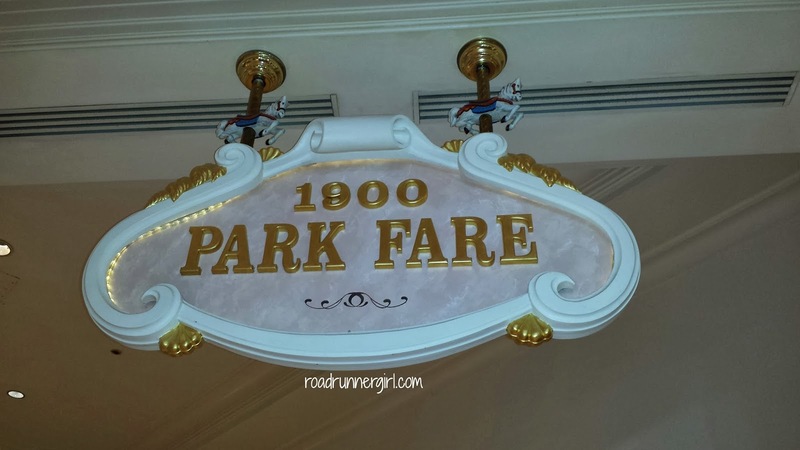 QOTD: Have you ever eaten at 1900 Park Fare? What is your favorite Disney restaurant?